The Martyrs’ Graveyard in Aizawl. (Source: Express photo by Adam Halliday) As scores of men and women carrying flowers queued up to lay them at the foot of a 42-feet black-marble monument topped by a white crucifix, C Lalthianghlimi stood in the distance, bent over one of the 1,563 plaques commemorating some of those who died during the two-decades-long Mizo insurgency that ended in 1986. “At the time, we did not even have a camera. We don’t have a single photograph of him. But I am overjoyed that this plaque carries his name. So I come here often,” the 69-year-old woman said, putting her hand on the plaque that designates it as the final resting place of Zairemmawia, who died on April 1, 1967. 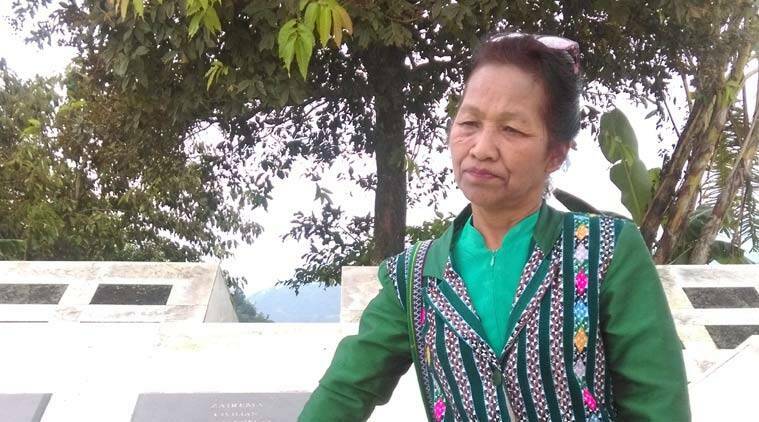 The woman from Hmawngkawn, a village 73 kms from Aizawl, was just one among hundreds of people to attend one of the 17 venues throughout Mizoram where the Mizo National Front observed Martyr’s Day on Monday. The rebel force turned political party has been observing Martyr’s Day every September 20 since 1980, when its cadres were still living in the jungles fighting for an independent homeland for the Mizos (This year, the observance of the day was postponed since it fell on a Sunday). When the party was in power for a decade between 1998 and 2008, it built the Martyr’s Graveyard in Aizawl’s Luangmual locality after consultations with local churches and voluntary organisations. The 2,660 sq mts complex built almost entirely of white marble is large enough to host 2,400 granite plaques designating the names, addresses and date of deaths of those who died because of the insurgency. “Unlike regular soldiers, these men and women had no prospects of ex-gratia for their families if they died or pensions for themselves if they lived. But they fought anyway because they were willing to sacrifice everything,” he said. The MNF and the Congress have been squabbling over the insurgency’s legacy more and more vehemently in recent years, with the Congress leadership accusing the MNF’s then leaders as having begun the insurgency for their personal benefit, causing immense hardship to ordinary people (victims of the Indian Army’s controversial village grouping operations) and singling out the insurgency as a principal set-back for the state’s economy, which remains under-developed with little industry or private enterprise. The MNF meanwhile maintains the insurgency secured constitutional safeguards for the Mizos of Mizoram and gave birth to the state as it is now (from being a district within Assam before the insurgency years). 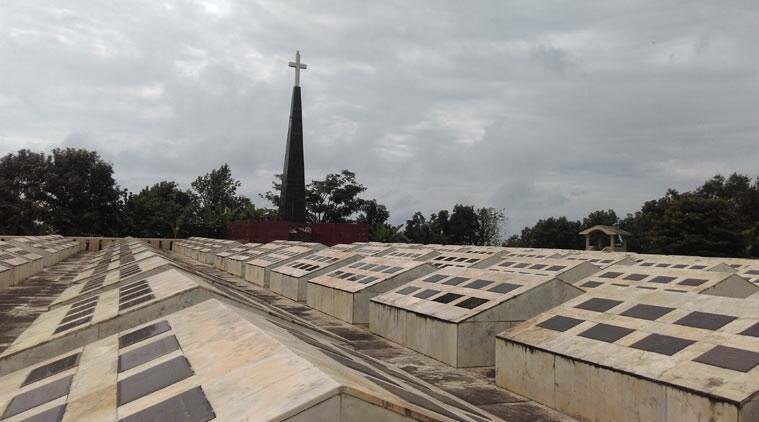 ​It is not clear exactly how many people lost their lives to the insurgency but besides the 1,563 dead commemorated at the Martyr’s Graveyard, an organisation called the Mizoram Martyr Families’ Association lists out 2,186 victims.